While I’m sad Summer is over, I am equally excited to have part of my brain back for a few hours a week! All kidding aside, preschool is great for her. She loves her friends, her teachers, the crafts, the playground, all of it. And preschool is so good for me because I am able to get some time for me sans the chaos of my non-stop three year old! First things first, back to the blog! 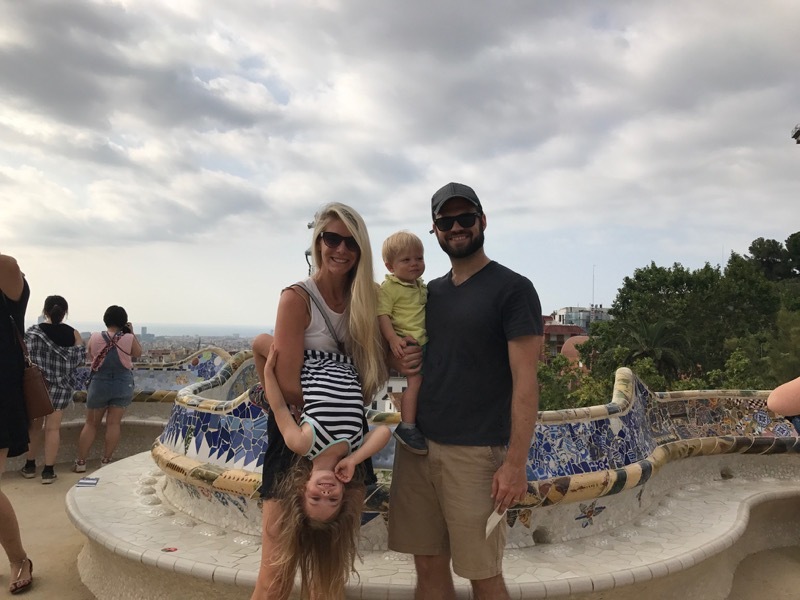 We got back from our Summer in Europe and I’ve gotten a lot of questions on how traveling with two is, how the summer went and comments about how ‘I make it look easy traveling with kids’. Let me start by apologizing, multiple of you have mentioned how I made it look easy traveling with kids. That is mostly because in the middle of a tantrum it’s near impossible to pull out my phone and capture the emotional display (scroll down for one that I did capture!). Both of my hands are usually full as I football carry both kids, while kicking and screaming, out of the playground, museum or restaurant that we are currently at. So in between all of the smiles and adventures we went on (there were a lot), there were equal amount of emotional displays in public that made me want to question why any sane person would ever take kids under 5 out in public. So as I’ve said before we think traveling with kids is worth it, not necessarily easy! I wouldn’t call this summer a vacation. It was the first time traveling I was home sick. I’ve never actually been home sick. Of course sleeping in my own bed is amazing and I love being surrounded by my favorite things at home, but this summer traveling with kids made me actually miss home more than ever. Why? Lottie. I didn’t think at three years old Lottie would miss home as much as she did. I thought she was too young to realize we were gone, and as long as we were together as a family she wouldn’t think much about it. Every morning, she would talk about her “other house”. She would talk about specific people and toys that she missed from her other house. I would feed her an avocado in Barcelona and she would respond with “I think I only like avocados from my other home”. It was interesting watching her embrace travel but also miss home. The kids rocked it on travel. Yes, the time adjustment was awful for a day or two, and sleeping in new beds with new room arrangements was a change, but all in all the kids rocked it on travel. I think routines are so important at young ages, but there is also something so important about being able to be flexible and create new routines. So that is what we did. We created new routines in every new hotel and airbnb we slept in. On the long travel days, Lottie walked (sometimes ran) through the airport pulling her suitcase, and sat on the airplane waiting for the “juice lady” to come by. Yes, Henry still cried on flights (he’s a baby! ), but we went in with expectations that we had a toddler and a baby on a flight and hoped for the best. 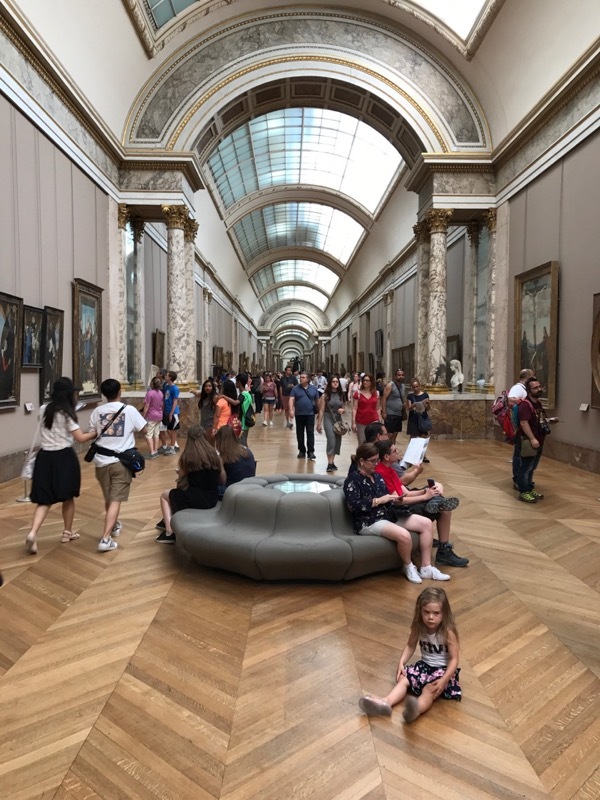 We had a lot of long travel days or days filled with museums and parks that weren’t interesting to the kids, but they found ways to still have fun and I was so impressed at how they handled the travel! – My kids played together more than ever before. If you know my two, you know that it hasn’t always been love at first sight. It’s been a growing relationship, but being out of our comfort zone it brought them together more than ever. Part of this is Henry’s age as he gets older and more capable to keep up with Lottie, and part of this is because Lottie wasn’t surrounded by her crew of friends, so she turned to Henry as someone who was always up for playing with her. It was awesome to watch. – My mom-confidence level skyrocketed. Being lost in the middle of a country where I don’t speak the language with my two kids and no internet, doesn’t worry me anymore, I will figure it out. 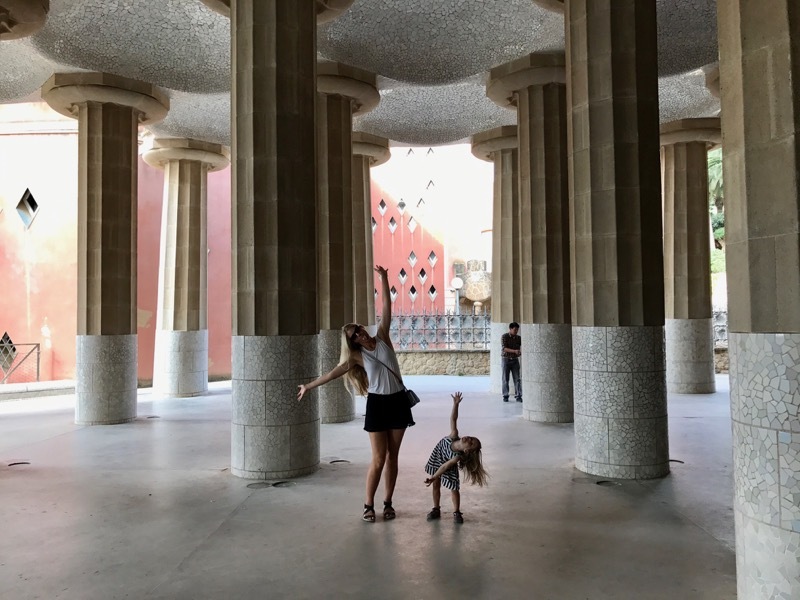 There are always fears and doubts when traveling in a new environment especially with kids, but after this summer I am confident no matter what the situation we will survive… which I don’t know I could have said a few months ago! – Dad did the remote thing. We’ve always talked about the benefit of how Josh works remotely and specifically how “we can work from anywhere”. But we’ve never actually worked from anywhere. We’ve done short trips, but never long ones. So this was a test. Can we travel for months at a time and Josh successfully keep his company running smoothly. Ok, so the 6 hour time difference made for some late nights, and his work actually got busier while we were over there, busier than it’s been all year… but he did it. More than just survived, from my opionion, he did awesome fitting in travel days and family time while still getting all of his work done. 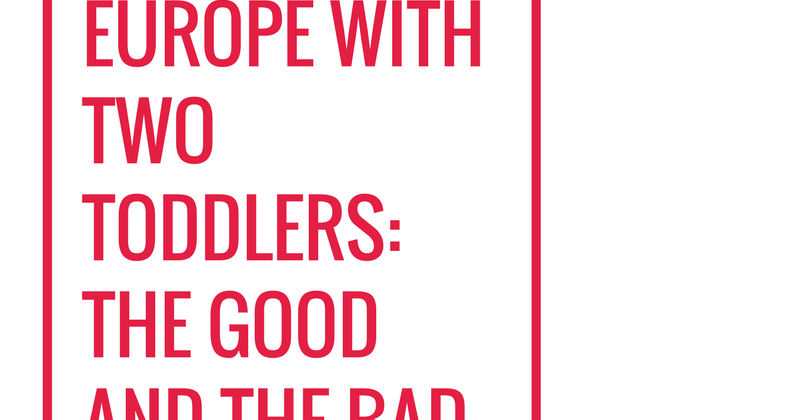 – We had one small toddler size backpack full of toys. Mostly coloring books, playdoh and a few cars. I loved not having a living room full of toys and honestly as much as Lottie would talk about toys she missed, it forced us to get outside more or get more creative about how we played. We would make up games and use what we had to entertain us. I don’t miss the piles of toys. We realized how little we need to have fun! – I was in shock the first time all 4 of us fell asleep in the same room. I swore Lottie would keep Henry up, or Henry would cry and wake Lottie up. I dreamed of all the worst case scenarios and was pleasantly surprised this summer when everyone fell asleep in a new hotel or airbnb every few weeks together. – While it’s great that we all fell asleep in new beds every few weeks, we also were all woken up once one person woke up (usually Henry)! So Josh and I made sure we went to bed earlier than normal, because we knew our sleep was limited. With being in new beds the kids didn’t sleep as well as they do at home, which is as expected… and also tiring! Some mornings it was really early, like 5 AM early and they would be up and ready to go. – It was really hot and our apartment didn’t have air conditioning. Most of the apartments over there don’t have air con, so we were all really hot during the day. This probably affected Josh and I more than the kids, but we definitely missed the comfort of our AC at home! – I take my hat off for parents who raise kids in apartments, it’s tough. I felt that all summer I was on repeat “Stop running” “Stop jumping, people live below us” “Don’t yell in the hallway” “Stop running”. The people below us probably were happy to hear us go. My kids are loud, and it was hard to manage them when we were in the apartment because they wanted to play and run and jump everywhere. WHEW! That was just the start of my recap and stories from the summer. Unfortunately nap time is over so I am putting my mom hat back on, but don’t worry there is more to come on the Eaton Adventures in Europe this past summer! 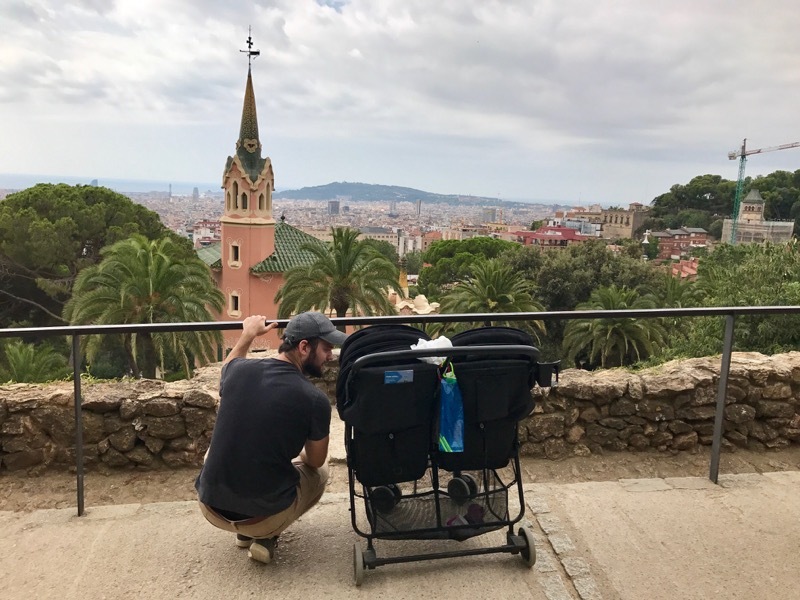 Do you have questions on traveling with two kids? leave it in the comments, I am going to do another round up Q&A soon!